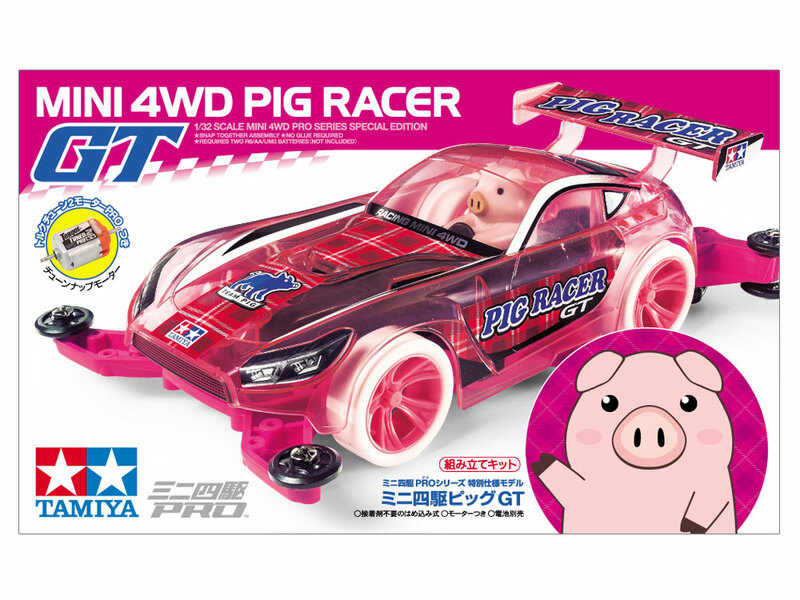 Round and cute pig driver operating a GT machine It is a plastic model assembly kit of a four-wheel drive racer that is fun for high-performance running and racing. 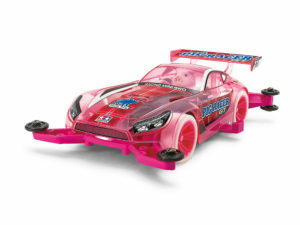 The Pig GT is a machine with a painted pig driver on a clear pink body. The body adopts Zilborg who imaged the GT car of Europe, and the combination with a chubby pig driver is comical. 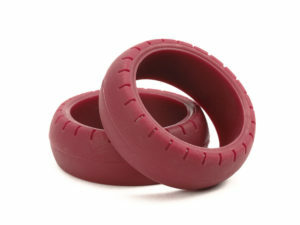 In addition, the chassis made of ABS resin is magenta (pink), A parts such as battery holder and gear cover are black, A spoke wheel is finished with fluorescent pink, and white small diameter low height tires are attached. We also have a dedicated metallic-style sticker. In addition, torque tune 2 motor PRO, which has excellent acceleration power, is equipped as standard. The cuteness is, of course, also a machine with a focus on running. MA chassis in pursuit of driving efficiency “MA” is an abbreviation of Midship AERO (midship aero). The “MS chassis” with a midship layout, with a double shaft motor mounted at the center of the vehicle body, and the “AR chassis” designed with particular attention to air flow during driving (aero). It is “MA chassis” that put together each excellent feature in one chassis. 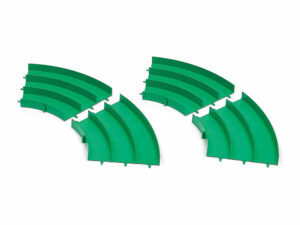 Of course, taking advantage of the racing know-how accumulated so far, we have thoroughly improved the running performance, including the 3.5: 1 superspeed gear, six low-friction resin rollers and rear skid bars as standard equipment. . In addition, the integrated monocoque structure also makes it easy to assemble and maintain. 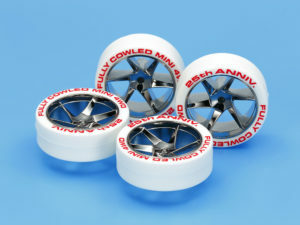 It is a chassis that can handle a wide range of events, from beginners to veteran racers, from small town races to small races, and from the official competition of a large 5-lane special circuit. Basic specs ● Length: 156 mm at completion, Width: 97 mm, Height: 45 mm ● Torque Tune 2 Motor PRO included ● Assembly does not require adhesive. This entry was posted in Future Releases on March 18, 2019 by admin.